My husband and I have spent the past 12 months trying to choose a dog that would suit our lifestyle. 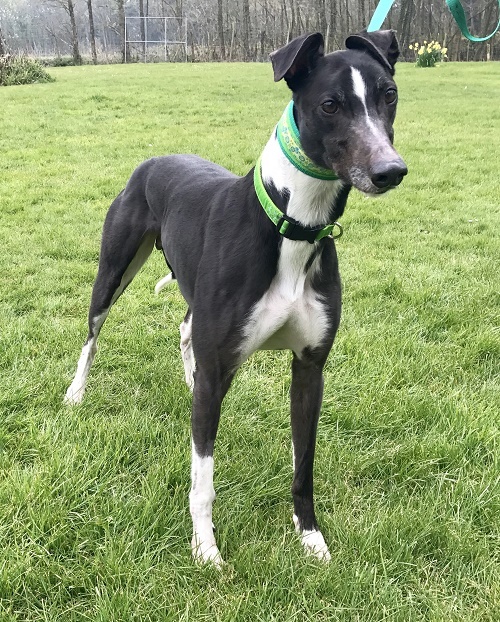 We have considered most breeds – but we had never given greyhounds a thought until somebody I worked with suggested that we looked at Monmore Green RGT. My immediate reaction was ‘A greyhound? Why would we want a greyhound? They’re hardly cuddly dogs... .’ How wrong I was! 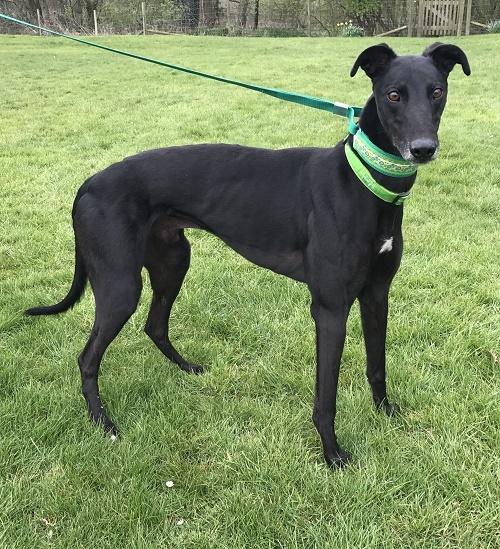 So as Monmore had come highly recommended, and the thought of a pointy face (our affectionate term) was playing on my mind, I spent time perusing the website (which was really informative!) and we decided to visit the kennels that weekend. Even though we were late arriving (and made several phone calls on the way for directions) the staff at the kennels were super – really welcoming and friendly. There were no moans or grumbles that the viewing time had actually finished 20 minutes before we arrived..
We explained our circumstances to the guys at Monmore and they quickly identified dogs suitable for us, and explained why other dogs we could see weren’t suitable. (We also have a rabbit you see, and we have lots of friends with small children/babies so a calm and gentle dog was requested). Well, we took Beanie for a short walk and quickly fell for the ‘pointy face’! She was the calmest, most docile, placid dog we had ever met – with lovely brown eyes that just asked for some love. There was no pressure at all for us to make a decision on Beanie there and then, and after Alison had spent more time chatting with us we went away to contemplate the decision. We were given an information booklet and DVD to watch – which really does tell you everything you need to know. 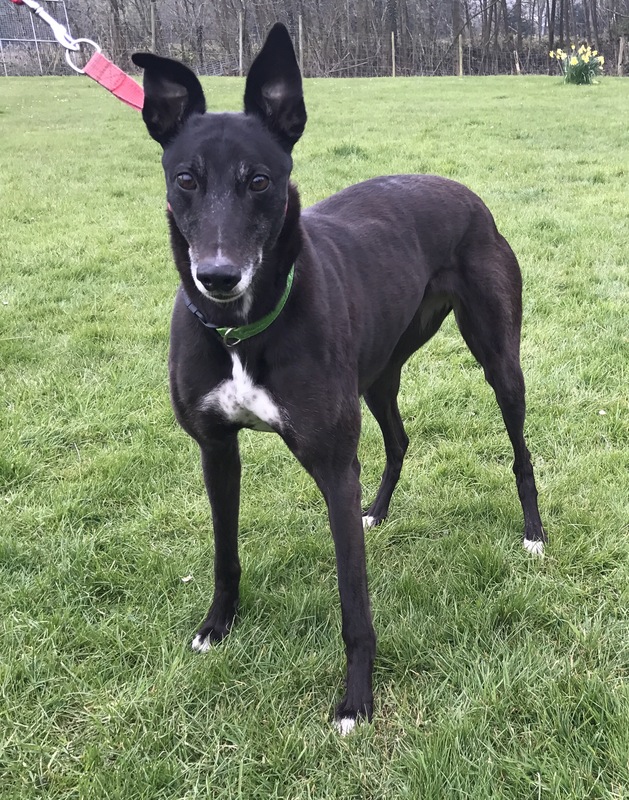 It was also great to hear that holiday boarding was available for a small charge, and that Beanie could return to meet up with other pointy faces to have her nails clipped and a free run! 1 week later (and several email exchanges with Alison later) we were back at the kennels to see Beanie again. Yes, she was still waiting to be loved, and still the same beautiful Beanie! Alison suggested we have her for a weekend trial – a sleepover really... and so a home check was arranged for us. 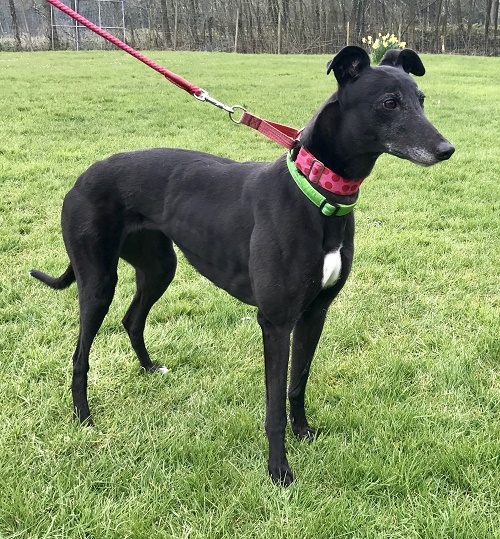 Kim came to do the home check – she was really fantastic. Kim gave us lots of really useful advice and tips on how to make sure that Beanie would settle in with us. She made us feel so confident about the decision that we were about to make, as she let us know that she would also be at the end of the phone or email if we needed any help when we got our pooch. We cannot say enough good things about Monmore RGT, go see for yourself – you’ll be impressed – honest!! If you can't adopt a greyhound, but would still like to help our cause we have various ways you can donate.